Among the many endangered languages around the world are several languages and dialects once spoken by Jews in various parts of the diaspora, including Europe, Iran, India, and the Caucasus region. Not all Jewish languages have been discovered and described, and a few have probably passed away unnoticed. Sarah Benor, a professor at Hebrew Union College who specializes in Jewish languages, puts the number of endangered Jewish languages at around two dozen. The assimilatory tendencies in the Americas; the horrors of World War II; the persecution of Jews in the Soviet Union; the rise of nationalism in the Balkans, North Africa, and the Middle East; and—ironically—the creation of the State of Israel, which promoted Hebrew at the expense of other Jewish languages, all led to the weakening and even demise of many mixed Jewish languages, such as Yiddish, Judeo-Spanish, Judeo-Arabic, and others. In Israel, Judeo-Spanish and Judeo-Arabic were associated with Sephardim Jews who have generally had a lower socio-economic status than Israelis of European background. But even Yiddish, the language of the more socio-economically powerful Ashkenazim Jews, was looked down upon in Israel. Prior to World War II, the majority of the Jewish people, up to 11 million in total spoke Yiddish, a Slavic-influenced Germanic language written in the Hebrew script. The territory occupied by Yiddish speakers was vast, extending from the French-German border in the west to Smolensk in the east. Most Yiddish speakers in Europe perished in the Holocaust and in Stalin’s Gulag system, and few of those who survived passed the language onto their children. In early days of Israel, Yiddish bore a stigma of the language of the ghettos and of the Jews being “the sheep going to slaughter”. Therefore, Israel’s 300,000 Holocaust survivors refrained from speaking Yiddish in public and, until recently, only people in the Chassidic (ultra-Orthodox) world, along with the very elderly, spoke Yiddish as their first language—or at all. Various sources give very different figures for the number of Yiddish speakers worldwide. According to the 2013 edition of the Ethnologue, there are 1,505,030 speakers of Eastern Yiddish, a dialect that developed in the Slavic-speaking lands of Eastern Europe (of them 215,000 in Israel), and merely 5,400 speakers of Western Yiddish, a dialect spoken largely in Germany. In contrast, the Modern Languages Association reports fewer than 200,000 in the United States. Other estimates are also given, for example, of a worldwide Yiddish-speaking population of about two million in 1996 in a report by the Council of Europe. 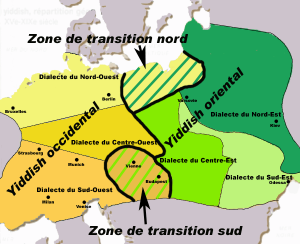 The two abovementioned major dialects of Yiddish—Eastern and Western—resulted from the heavier influence of Slavic languages on the Eastern variety. As a result, Eastern Yiddish incorporated many Slavic linguistic traits, ranging from sounds to words to syntactic patterns. For example, Yiddish allows word-initial [s], as in sok ‘syrup, sap’ (a Slavic loanword), in contrast to German, where word-initial s is pronounced as [z] before a vowel (e.g. in sagen ‘to say’) and as a [S] before a consonant (e.g. in schlafen ‘to sleep’ and sterben ‘to die’). Unlike German and like Slavic languages, Yiddish allows multiple question words to be clustered in the beginning of an interrogative, as in Ver vos hot gekoyft?, literally ‘Who what has bought?’. Curiously, this Slavic-influenced syntactic model co-exists with the Germanic pattern whereby only one question word appears sentence-initially in such questions: think of the English Who has bought what? Like all other mixed Jewish languages, Yiddish has a major Hebrew component, both in its vocabulary and grammar. Hebrew loanwords in Yiddish include not only religious lexicon, but even basic vocabulary items such as almone ‘widow’ and mishpokhe ‘family’. Certain Yiddish nouns form plurals with the Hebrew-derived suffix -im. Moreover, Yiddish is written with the Hebrew script. However, since Yiddish does not have the pharyngeal sounds of Hebrew, letters designating such sounds in Hebrew—“alef” and “ayin”—were repurposed to signify vowels; similarly, letters “vav” and “yod”, which in Hebrew may represent either a vowel or a consonant, are used in Yiddish to spell out mostly vowel sounds. Ladino, another major Jewish tongue, is likewise disappearing fast. Also known as Dzhudezmo or Judezmo, Judeo-Spanish, and hakitía (the latter term is used among Moroccan Jews), Ladino is rooted in 15th century Castilian Spanish. * In 1492, the Catholic Sovereigns of Spain, Ferdinand and Isabella, ordered approximately 250,000 Spaniards of Jewish faith, who lived in 120 communities, to leave the country within three months. Many chose to convert or die, but some 175,000 Jews fled, most of them accepting Sultan Bayazid II’s invitation to settle in the Ottoman Empire. 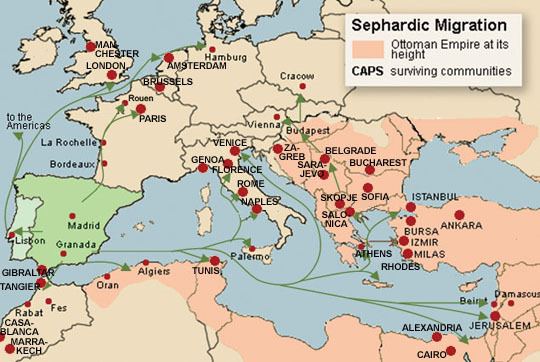 Their descendants formed the Eastern, or Balkanic, Sephardim, who settled mostly in areas that today are parts of Greece, Turkey, and the former Yugoslavia. A smaller community, some 50,000 strong, went to temporary havens in North Africa and Portugal, and eventually settled mostly in Holland. 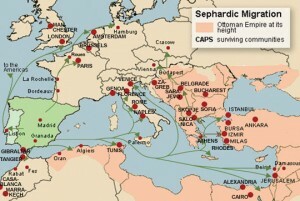 These were the Western Sephardim, who were largely Portuguese-speaking until the nineteenth century. With the decline of the Ottoman Empire and the rise of nationalism in former Ottoman lands, Judeo-Spanish-speaking communities came under increasing pressure; as result, and many emigrated to the New World, especially after the Turkish revolution in 1908. In the Americas, Judeo-Spanish-speaking Jews were absorbed into the mainstream Spanish- and English-speaking communities, abandoning their language. According to the Ethnologue, there are 112,130 speakers of Ladino, with the majority of them living in Israel. The Ladino-speaking Jewish communities that remained in Europe also experienced major language shifts. For example, pre-WWII Sarajevo in Bosnia had been home to a large Ladino-speaking Sephardic Jewish population, but after the war the few survivors abandoned their language because they did not want to stand out and be publicly recognized as Jews. Sarajevo currently has four Ladino speakers. Yet during the war, knowledge of Ladino could be helpful. Moris Albahari, a young Sephardic boy from Bosnia, was able to escape from a Nazi death-train by communicating effectively in Ladino with a sympathetic Italian Colonel; he later used Ladino to lead a Spanish-speaking US pilot to safety in a partisan airport. Years later, Bryan Kirschen, Susanna Zaraysky, Elad Wexler produced a documentary about Moris Albahari’s story with the intriguing title Saved by Language. 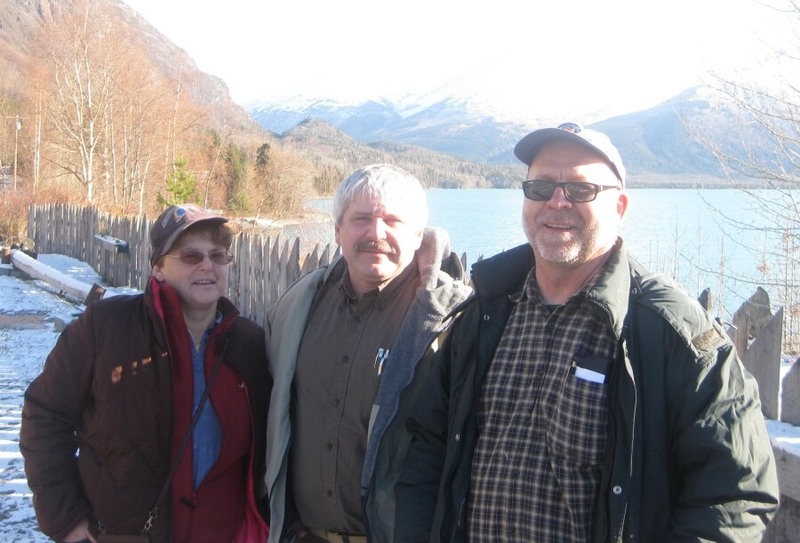 Several other Judeo-Romance dialects have gone extinct, with only few inscriptions, Biblical glosses, translation of prayers, and traditional songs remaining. These include Judeo-French (also known as Zarphatic, from the Hebrew word tsarfat ‘France’), in which the 11th century Biblical commentator Rashi wrote his famous Biblical glosses. 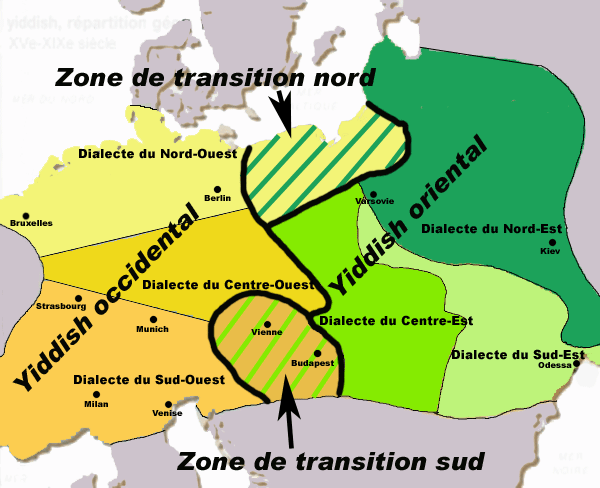 Also extinct is the Judeo-Romance language called Shuadit (from the Hebrew word yehudi ‘Jewish’), also known as “Judeo-Comtadine”, once spoken in the historical region of Comtat-Venaissin, coextensive with the modern department of Vaucluse in southern France (see map on the left). 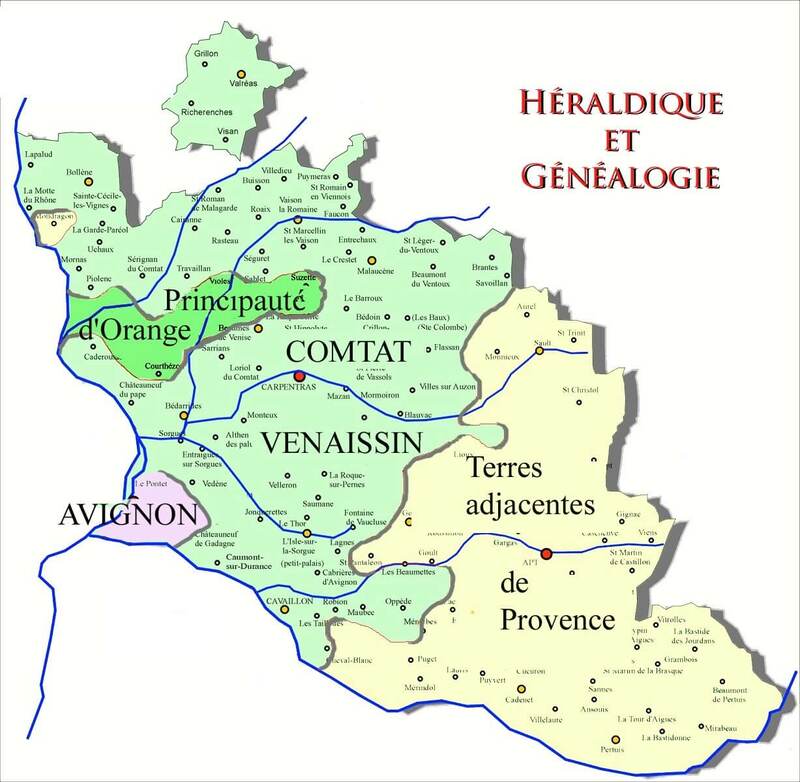 Before the French Revolution, the Comtat-Venaissin and the neighboring city of Avignon were papal territory, and therefore their Jewish residents were able to remain when Jews were expelled from France in the 14th century and from Provence in the 15th century. 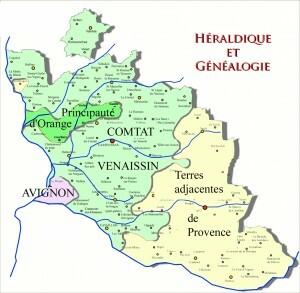 At the time, many Jews moved into the Comtat-Venaissin, both from the north and from the west, bringing with them dialectal peculiarities of their former homelands, as well as family names such as Crémieux, which is the name of a town to the north, and Lunel and Bédarrides, which are the names of towns to the west. In Italy, most Jews spoke Judeo-Italian or “Italkian”. 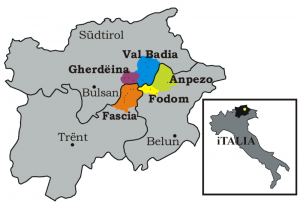 Scholars debate as to whether Judeo-Italian goes back as far as the 12th or early 13th century, or whether it appeared only with the establishment of ghettos in the 16th century. Some experts, such as David S. Blondheim, trace it all the way back to a Judeo-Latin dialect, which would have evolved in parallel with Vulgar Latin. 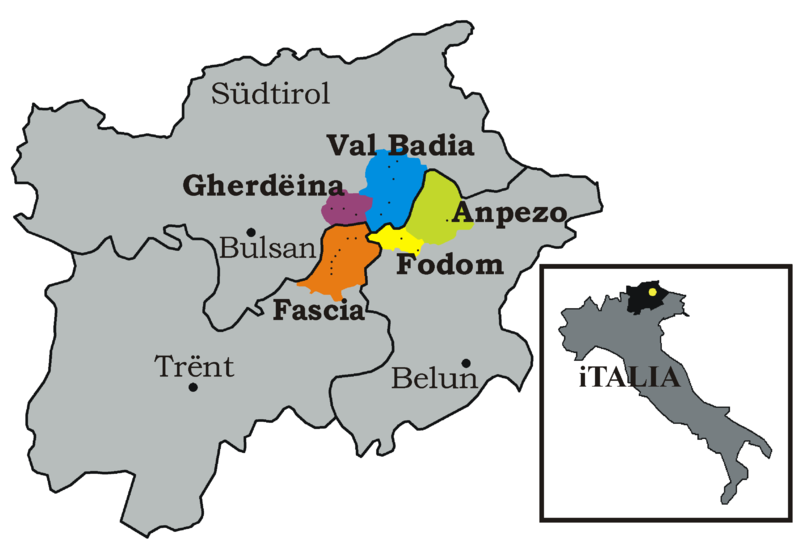 A great deal of diversity characterized the varieties of Judeo-Italian spoken in different cities; for example, the Jewish speech of Turin may have been closer to the non-Jewish Piedmontese dialect than it was to the Jewish speech in Rome. As a result of such differences, some linguists divide Judeo-Italian into giudeo-mantovano, giudeo-romanesco, and so on. In Ferrara the term ghettaiolo is used, while the Judeo-Italian variety spoken in Livorno (Leghorn) and Pisa is known as bagito. This later variety has been influenced not only by the local Livorno dialect, but also by Portuguese and Spanish. Sadly, only a few people who survived the Holocaust continued to speak bagito after World War II. Today, only 200-250 people are estimated to speak Judeo-Italian, few of them fluently. 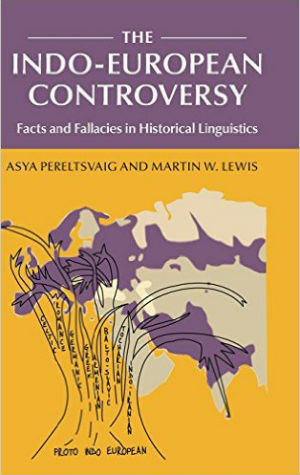 Jews outside the Romance, Germanic, and Slavic lands also developed mixed Jewish languages that reflected both the Hebrew/Aramaic tradition and the peculiar histories of the Jewish communities in these areas. 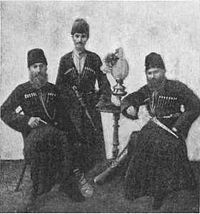 For example, the nearly 100,000 so-called Mountain Jews in Azerbaijan and Dagestan once spoke Judeo-Tat, also known as Juhuri or Jewri, a Hebrew-influenced Persian language. Today, most of their descendants live in Israel and speak Hebrew as their mother tongue; only about 2% of the remaining ethnic Mountain Jews speak Juhuri. Jews in the Arab-speaking lands developed a number of Judeo-Arabic dialects, including Judeo-Iraqi Arabic, Judeo-Tripolitanian Arabic, Judeo-Moroccan Arabic, and Judeo-Tunisian Arabic, of which only the latter is still regularly passed on to children. From the 17th until the 20th century, Kashan was a major trade center known for its silk reeling and weaving. According to Yeroushalmi, “the masses of the Jews were actually lower class” doing menial work. But the changes made by Iran’s new ruler Reza Shah Pahlavi in the 1920s put an end to the relative isolation that had nurtured Judeo-Kashani. The vast majority of the city’s Jews left for Tehran between the 1920s and early 1950s in search of better opportunities. Prior to that dispersion, some 300 Jewish families—roughly 2,500 people—lived in Kashan, the seven synagogues of which earned the town the nickname of Little Jerusalem. But the Jews of Kashan have long since scattered—first to Tehran, and later around the world—and their descendants have adopted different languages. In Tehran, business was done in Persian, groceries were bought in Persian, and lessons were taught in Persian. Uprooted from the place where it had been spoken for centuries, Judeo-Kashani began a steep decline that accelerated after the Ayatollah Khomeini came to power in 1979. Today, virtually the only remaining speakers of Judeo-Kashani are a handful of older Jews who had been born in Kashan, a city that no longer has any Jewish residents. In all likelihood, Judeo-Kashani will soon be extinct. As the last speakers of Judeo-Kashani and other endangered Jewish tongues are entering their twilight years, the need to document these languages has become more urgent. Linguists in Brazil, the United States, and Israel are trying to record these endangered Jewish languages, before they disappear forever. In Israel, a major efforts to document Judeo-Malayalam, from southern India, is currently underway. But the biggest such project has been recently launched in the United States by the Endangered Language Alliance, whose goal is to document the Jewish languages spoken in New York, home to at least seven endangered Jewish languages, including a Judeo-Persian dialect from Isfahan, distinct from Judeo-Kashani. Scholars working on this project film and record interviews with speakers telling stories, speaking, and singing songs, transcribe what they hear and write up the grammars. Yet a major gap separates documentation and preservation. “Preservation can be only done by the speakers themselves,” said Habib Borjian, a specialist in the history of Iranian dialects and languages including Judeo-Kashani, “not much can be done by an outsider”. Fortunately, linguistic documentation, preservation, and revival is no longer limited to a few scholars. Increasing numbers of young Israelis are joining the revival of Yiddish and other Jewish languages and dialects, looking for their roots. Currently, four out of five Israeli universities have centers for Yiddish studies. 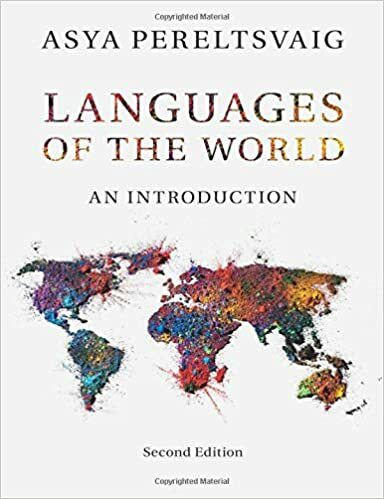 However, as successful as these programs are, their achievements are a far cry from a true language revival because a language is considered living only if it has native speakers, that is people who acquire it as babies from their parents. It is this intergenerational transmission that keeps a language alive. And it is this chain that was broken for most Jewish languages, such as Yiddish or Judeo-Kashani, several generations ago. One can only hope that some of these endangered Jewish languages will repeat the feat of Hebrew and be successfully revived and maintained. But as the Yiddish expression goes: “Fun glik tsum umglik iz nor a shpan; fun umglik tsum glik iz a shtik veg” (From a fortune to misfortune is but a short span; from misfortune to fortune is a long way). *Ladino is not to be confused with Ladin, a group of Romance dialects spoken in northern Italy.